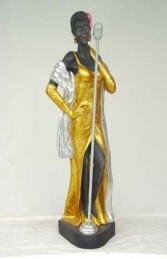 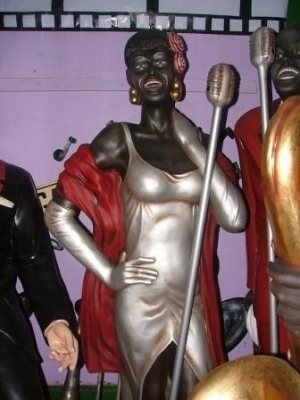 This glamourous life-size Lady Jazz Singer is superb for creating a night-club theme for a party or to use to advertise a music related business. Capturing the elegance and sophistication of the famous jazz and blues singers such as Billie Holiday and Ella Fitzgerald, this life-size cold-cast poly-resin and fibre-glass 3d model of a Lady Jazz SInger is ideal for music, entertainment and Hollywood themes, Movie and film displays, advertising or drawing attention to your business or for the home and garden. 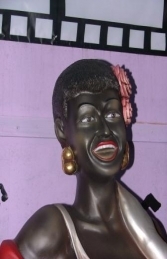 She looks wonderful with our Jazz Singer figure JR 233. 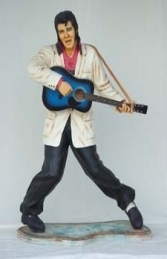 The statue is available with either a gold or silver dress and comes complete with the microphone.